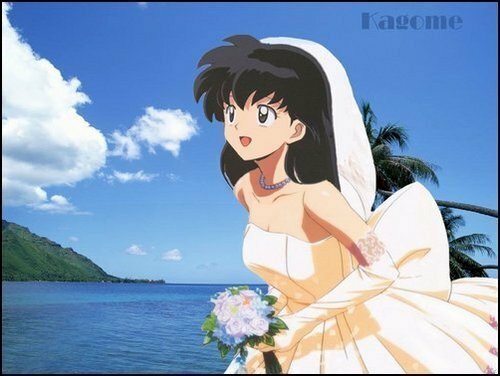 Kagome's wedding 日. who's she runing to? Koga 或者 犬夜叉. Wallpaper and background images in the 犬夜叉 girls club tagged: kagome koga inuyasha. I think she is running to Koga, cause lets face it he's a much better choice for her and besides that he treats her lika a queen, and Inu sees her as just a shard detector.